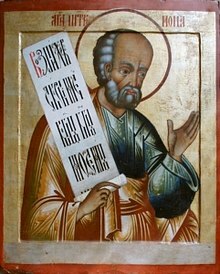 Jonah or Jonas[a] is the name given in the Hebrew Bible (Tanakh/Old Testament) and Quran to a prophet of the northern kingdom of Israel in about the 8th century BCE. 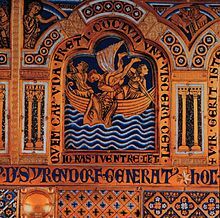 He is the eponymous central figure of the Book of Jonah, in which he is called upon by God to travel to Nineveh and warn its residents of impending divine wrath. 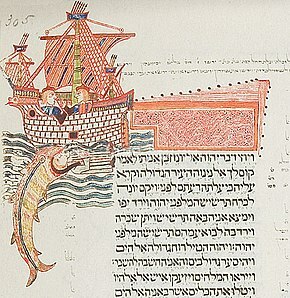 Instead, Jonah boards a ship to Tarshish. Caught in a storm, he orders the ship's crew to cast him overboard, whereupon he is swallowed by a giant fish. Three days later, after Jonah agrees to go to Nineveh, the fish vomits him out onto the shore. 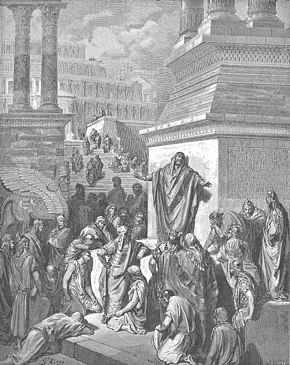 Jonah successfully convinces the entire city of Nineveh to repent, but waits outside the city in expectation of its destruction. God shields Jonah from the sun with a plant, but later sends a worm to cause it to wither. 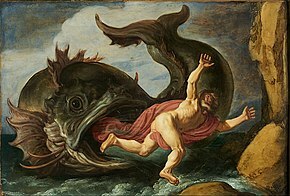 When Jonah complains of the bitter heat, God rebukes him.